When traders in Nepal purchase silk yarn from China, consignments land at the Kolkata port, from where they are taken by road to the Himalayan nation. Along the way, bales of silk yarn are offloaded and dispatched to Varanasi, the home of Banarasi silk saris, and beyond. Partial or empty container trucks then drive into Nepal. Through this ploy manufacturers have been able to access imported silk yarn on which no customs duty is imposed. It reduced their cost of production and gave them an edge over their competitors. 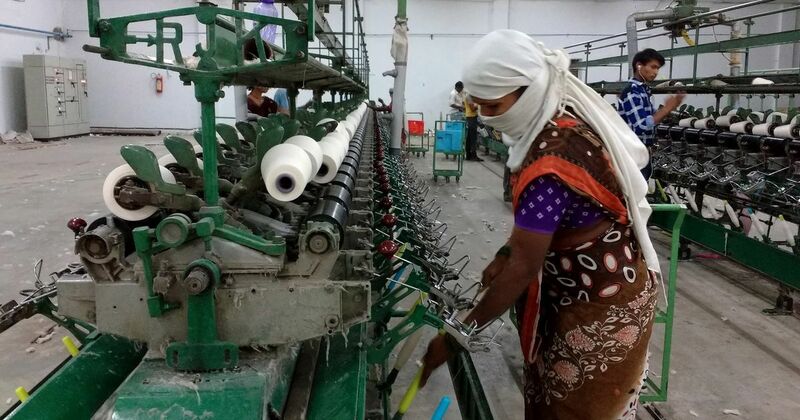 A manufacturer said that the diversion of silk yarn to Varanasi could not have happened without the connivance of officials, who, in most states, bag lucrative postings after paying off their political masters. The manufacturer narrated this story to make the case that as in the earlier tax regime, government officials are likely to create channels for traders and small manufacturers to operate, at least partially, outside the Goods and Services Tax network. As in the past, he said, some business owners are likely to attempt to escape paying tax by operating their enterprises without showing their entire turnover in their records during the new GST regime. 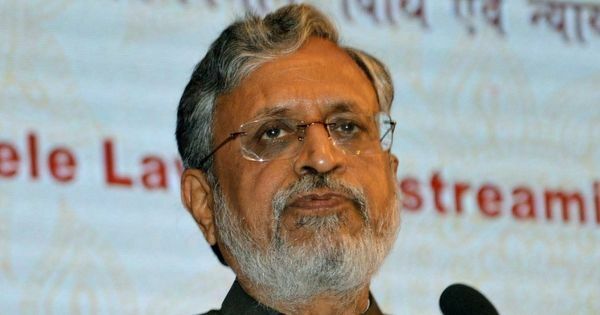 Though the GST system has been billed as a mechanism against dishonest businesses, it is government officials who will oversee and operate the system. It is they who are expected to point to possible methods to circumvent GST – or so businesspersons hope. The Goods and Services Tax, which is being touted as India’s biggest tax reform, was rolled out on July 1. It subsumes a range of central and state taxes. However, one of the criticisms against it was that under this new regime, the same product can fall under differential tax slabs. This, for instance, has triggered a price war on rice. This is because there is no GST on rice sold loose, while branded rice attracts 5% tax. But because a brand is not recognised legally unless it is registered under the Trade Marks Act, 1999, India Gate, the country’s highest-selling rice brand, will not attract the 5% GST – and will, therefore, have a price advantage over competing registered brands. The manufacturer of India Gate had applied for registration years ago, but the application was pending when GST was inaugurated. Therefore, India Gate is not legally a brand. A manufacturer of food items sold under a registered brand said that this is unfair. He felt that the different tax rates would encourage unscrupulous operators to imitate his packaging and sell products to retailers at 5% less than his price. These retailers will typically have an annual turnover of less than Rs 20 lakh and, therefore, will not have a GST number (since it is compulsory only for traders with annual turnovers of Rs 20 lakh or more to secure a GST number). Thus, they are likely to purchase and sell the imitation branded rice in cash. Though the GST regime establishes an audit trail on every purchase or sale by a trader, which is expected to make it difficult for traders to evade tax, transactions in cash will bypass the audit trail. Even unregistered brands face this risk. However, because there are differential tax slabs for the same commodity, it will make economic sense for traders to imitate the designs of registered brands but price their product lower. A similarly curious clause is that yarn blended with more than 50% polyester attracts 18% GST, but yarn with more than 50% wool has a levy of 5% GST. In Uttar Pradesh’s Bhadohi, famous for its carpets, officials were recently asked by traders what GST rate applied to blended yarn with 50% wool and 50% polyester. They did not have a clue. Some suppliers in Bhadohi say they have already planned to show yarn blended with more than 50% polyester as yarn with more than 50% wool in their records (it is difficult to make out the precise composition of blended yarn without laboratory testing). This will save their customers 13% in tax, thus helping them to cut production costs. However, it is difficult to tell whether the suppliers will succeed in their efforts. A textile manufacturer pointed to the irrationality of imposing 18% GST on processing chemicals and 28% GST on finishing chemicals, which are used in two different stages of production. Both chemicals come in black boxes, he said. Remove or switch stickers and government officials cannot tell one from the other. Yet the manufacturer said that there are fears that the officials might accuse manufacturers of playing this game even if they have not – and demand money. Bhadohi’s suppliers also cited harassment from officials as a factor behind their plans to get around the differential GST slabs for yarn. In an already sluggish real estate market, GST might act as a speed-breaker to sales. A fully constructed apartment bought by making a one-time payment will incur zero GST after undergoing verification from a regulating committee. By contrast, all construction-linked payments for flats will incur 18% GST. An apartment costing Rs 1 crore under such a plan will attract Rs 18 lakh as tax, an undeniably huge sum. One realtor said that he could foresee what will happen. He said to save on GST, Person X will book a flat in the name of Y, who is his dummy. The instalments Y pays will actually be X’s money. When the last instalment is due, Y will notify the builder that he does not want to buy the flat, said the realtor. The builder will tell the regulating committee that Y has backed out, but he is fortunate to have a new purchaser in X. The builder will refund Rs 80 lakh to Y, whose money it wasn’t anyway. X will then buy the now completed flat for Rs 1 crore and not pay GST, said the realtor. Such a method will raise issues of income disclosures, but the narrative underscores that multiple, high tax rates are already driving people to think of dodging GST. Indeed, the state is asking to be cheated by hotels where multiple GST rates also apply. Rooms priced between Rs 1,000 and Rs 2,500 attract 12% GST, but those between Rs 2,500 and Rs 7,500 will have 18% GST. It is possible that hotels with low occupancy will woo customers by making them stay in the more expensive rooms, but bill them for those priced lower. The state will lose 6% tax. GST is calculated on the value added at every stage through which a product passes until it reaches its final destination – the customer. One of the key features of this tax regime is the input credit. This is a deduction in the amount of tax a seller of a good has to pay the government, which is equivalent to the tax the seller already paid while buying the good from his supplier. As a general rule, the more input credit to claim, the less likely it is for a cash trail to emerge to beat GST. This is likely to dissuade large manufacturing units from attempting to bypass GST. 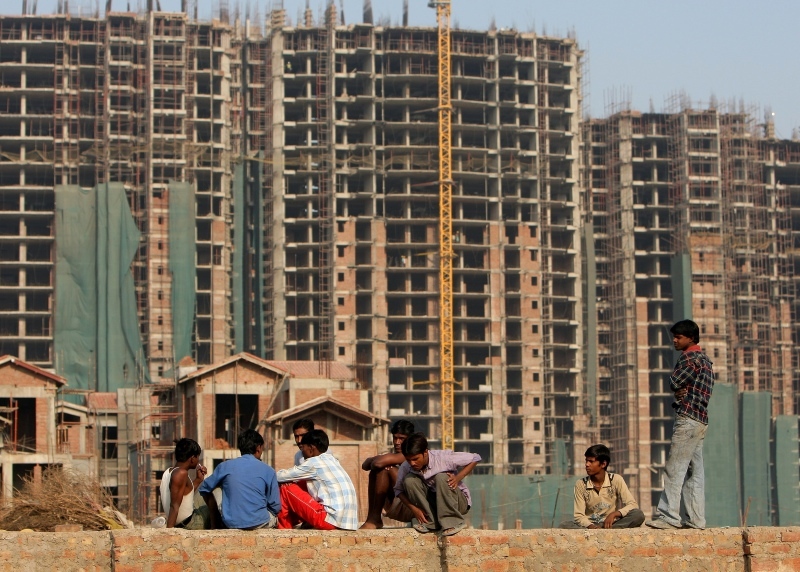 But it is likely to emerge in the unorganised sector. Earlier, units having a turnover of less than Rs 1.6 crore were exempt from excise tax. This enabled them to price their goods 12% less than those produced in the organised sector. No doubt, this provision was exploited. Companies with a turnover of Rs 5 crore would split themselves into three concerns to avail of the excise exemption. Or they would show themselves to be trading concerns, buying fake purchase and sale bills for which there is a flourishing market in India. This underground market is likely to now be pressed to service those planning to beat GST, observers predict. Those who deal in goods that fall within the highest slabs – 18% and 28% – are expected to face a rough time. Ultimately, the observer said, small manufacturers will wait to see what kind of structures are raised, courtesy officials, to evade the GST network. But his conservative estimate was that nearly 25% of small manufacturers and traders are likely to be wiped out or shift to opening neighbourhood retail stores, which will push them down the economic ladder. Others feel the space thus evacuated will have big businesses open stores to sell directly to consumers. This will lower the price of their goods, for the more hands an item passes through the costlier it becomes. Cash: The God of small things. It is not just traders who will be looking to save tax – customers are too. Rich Indians loathe bills, said a businessperson engaged in providing a service that now attracts 18% GST. Given that his customers would earlier insist on paying in cash to escape the earlier 15% levied on bills, he is sure they will not be willing to pay 18% GST now. He said that if the tax rates were low, traders and businesses will have complied voluntarily and not thought of dodging GST, as the dip in their income will not have been too big. This is precisely what political parties do – they take initiatives to increase their respective votebanks, not to deplete them, he said. This is the second part of a three-part series on the Goods and Services Tax. The first part can be read here.